As protests continued for the fifth consecutive day in cities across Iran, the political prisoners of Ardabil prison issued a statement supporting the protesters. 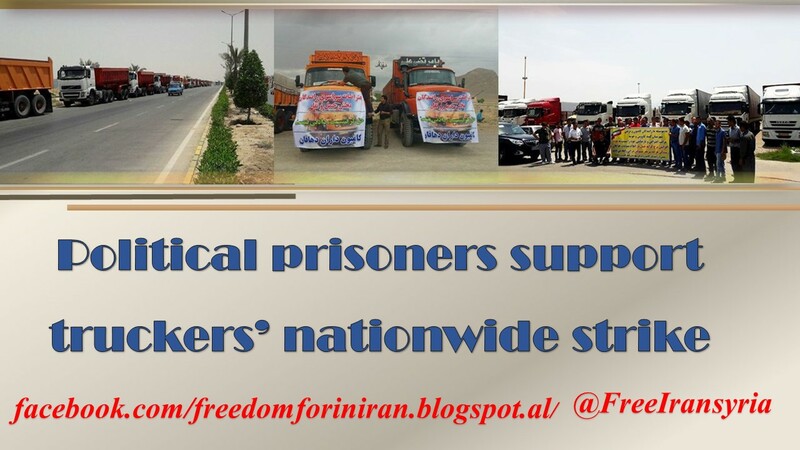 A group of political prisoners from across the country, currently exiled in Ardabil in the country’s northwest regions, have issued a strong letter of support expressing their solidarity with thousands of truck drivers on a general strike in over 270 cities in all of Iran’s 31 provinces. “Reports of protests and strikes are heard from people across the country. 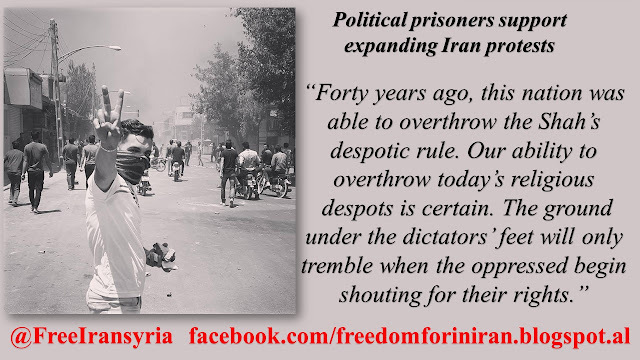 It has been 40 years that the great people of Iran have been prisoners to a regime of utter corruption, destruction, and plundering. “From Ahvaz to Kazerun, from sugar cane workers in Haft Tappeh to the employees of Arak’s Hepco Company, and now truck drivers across the country; they all share one voice and are on strike… Unity is of the utmost importance. “The truck drivers have been steadfast regarding their demands for the past eight days… We, the exiled political prisoners of Ardabil Central Prison, support the truckers’ strike and protests against injustice and cruelty. Shahin Zoghi Tabar, was arrested on May 20, 2013 by the Revolutionary Guards Intelligence Division for supporting the People’s Mojahedin Organization of Iran, he has given an account of what he has been through during his detention and has called on Western government to stop the policy of appeasement in regards to the Iranian regime. The following is an excerpt of his message shortly after being released from the prison. Freedom-loving writer and human rights activist, Golrokh Ibrahimi Iraee, sent out an open letter from behind bars of Evin Prison on January 9, 2018. 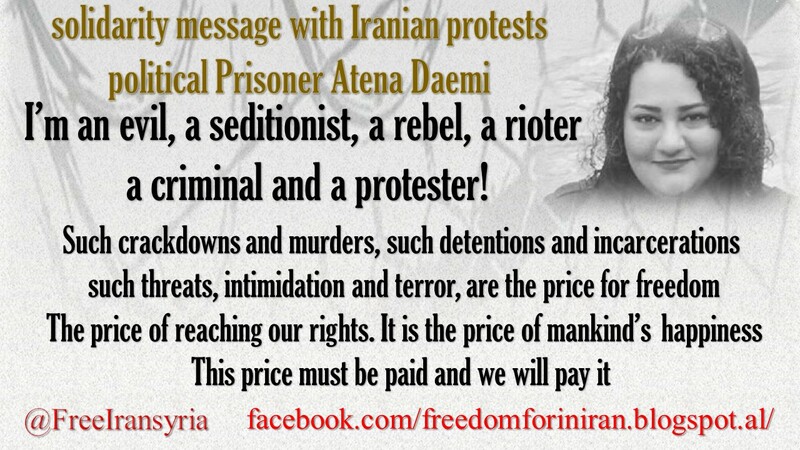 The political prisoner imprisoned in the Women’s Ward of Evin declared solidarity with the Iranian people’s uprising and called on Iran’s youths to continue their presence (in the streets), unite for their common cause and pay the price of freedom. 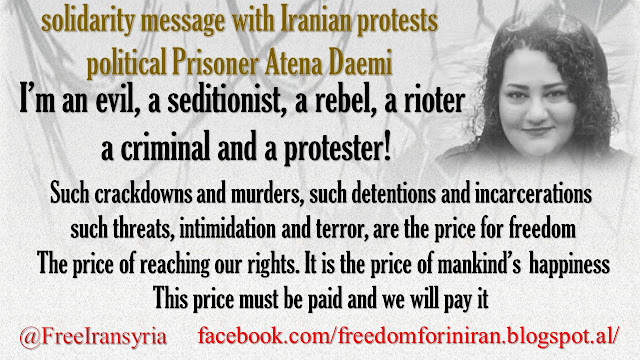 Human rights and children’s rights activist, political prisoner Atena Daemi, has sent out an open letter from Evin Prison declaring her solidarity with the Iranian people’s uprising. 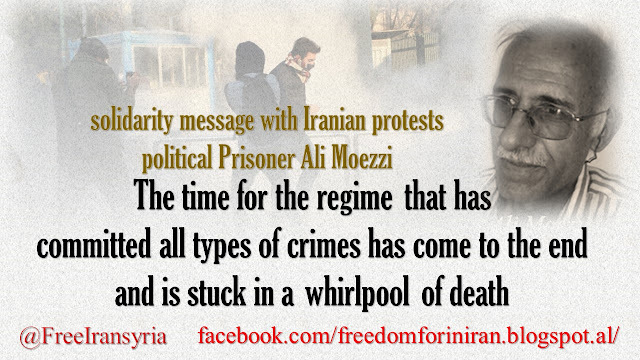 In a message solidarity with Iranian people’s nationwide protests, political Prisoner Ali Moezzi supporter of the People's Mojahedin Organization of Iran (PMOI / MEK) praised the protesters pledging continue their struggle until victory is reached. ”The time for the regime that has committed all types of crimes has come to the end and is stuck in a whirlpool of death,” he said. He expressed hope that the downfall of “the regime of Velayat-e faqih will come to end” and a future government elected by the people would be established. 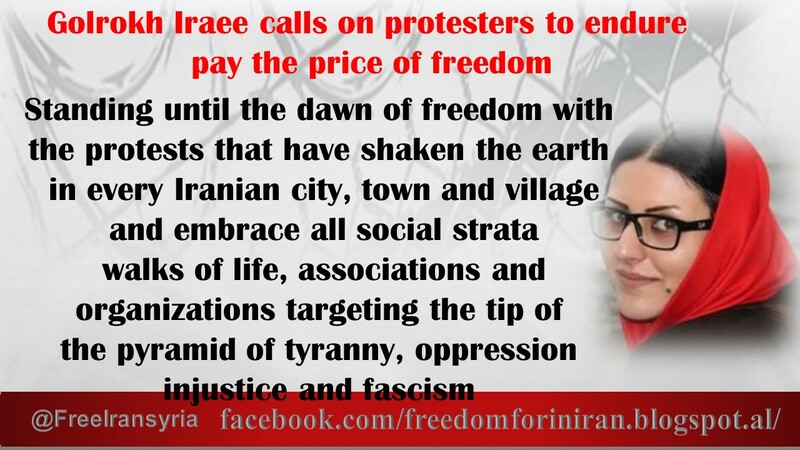 On Tuesday, the nationwide protests by the Iranian people has entered in sixth day despite repeated warnings by the regime and crackdown protests that has left over 30 protesters killed and over a 1000 arrested by the regime’s Revolutionary Guards (IRGC).